used with candles. 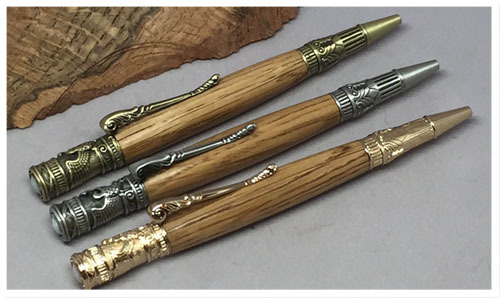 The pen also includes Doric column-influenced designs and a bald eagle, a common symbol used during this period. 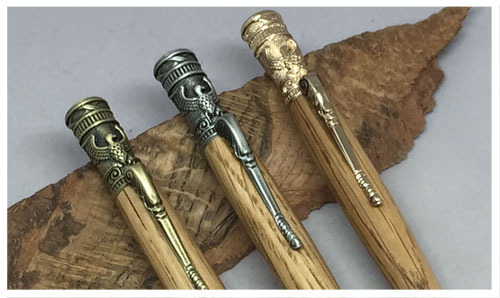 This is a twist pen, turn it at the bottom to extend the ball point. 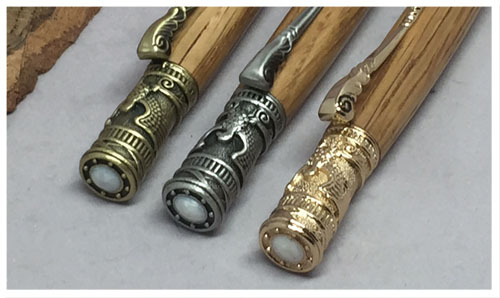 This pen uses a Parker style refill. 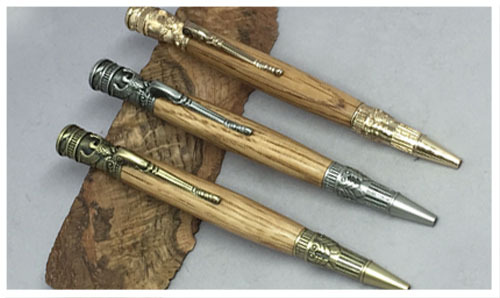 Available in gold, antique brass, chrome (not shown), and antique pewter hardware, and your choice of wood "flavor." Refills are available at most office supply stores.